At WWF, we’re passionate about finding the right person for the job. Selection is based on merit, skills, relevant experience, qualifications, culture fit and alignment to our values. We need knowledgeable, talented people who’re passionate about engaging and inspiring others. People who share our optimism that it’s possible to change the world. People who’re determined to make a difference. Currently we are looking for a right person to fill the position as Learning & HR System to be based in Jakarta and report to Organization & People Development Coordinator. 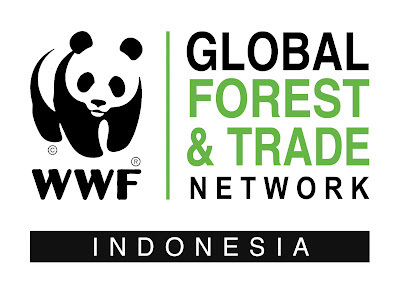 The Key holder is expected to provide support to WWF Indonesia organizations in accordance with their areas of responsibility related to Organizational & People Development particularly in Training, Sharing Knowledge and Non-Monetary Reward programs, as well as ensuring that all administrative needs of the organization and its requirements are met effectively and efficiently within the specified timeframe with the procedures and policies applicable at WWF-Indonesia. Carry out administrative tasks, training and evaluation activities, sharing knowledge, program mentoring and coaching, managing staff welfare programs and non-monetary reward programs for staff, follow-up on units in OD, organizing decisions, memos, and organizational structures, internal meetings, and other tasks from superiors who discuss with the area of ​​responsibility. Making simple trend data analysis and / or based on important information from the field on demand, such as staff training needs analysis. Manage and document emails, letters, and phone calls, in accordance with organizational objectives, and ensure follow-up of the organization with responsibilities. Manage Data (Data Entry & Database Update) updates important information with the responsibility area of ​​every information from each program related to data management in WWF. Serve as a person who receives requests for information and administration in accordance with the area of ​​responsibility in the organization WWF Indonesia. Please send a cover letter and a detailed CV to the address vacancy@wwf.id with subject: [Learning & HR System Officer_Name of Applicant]. Deadline for applications: 23th of May 2018 (If you have not been contacted within six (3) weeks after the closing date, consider your application is unsuccessful).